Can anyone fill the gaps? Double click on photo to have a closer look. The guy in the photo I recall as being Malcolm Malthouse your Uncle? If this is so I still remember both Malcolm and Michael but unfortunately this is the only photo I have. Both of them were in different classes to me and we only came together during sports and gardening lessons. I seem to remember Michael as being a good shot with his air rifle, apart from that 50 years has blurred my memory. Hope you get what you are after, but unfortunately photos seem to be in short supply in this era. 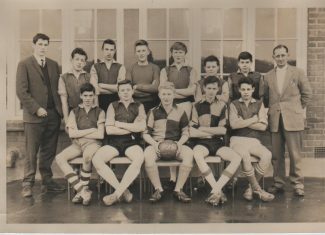 Hi Keith, can you help me and tell me if any of the school st chads photos on here have a photo of my dad in them. I havent got many when he was at school. Im also sorry to say but my dad Michael died in the 70’s very young. Hope you can help as i dont know much about my dads younger years. 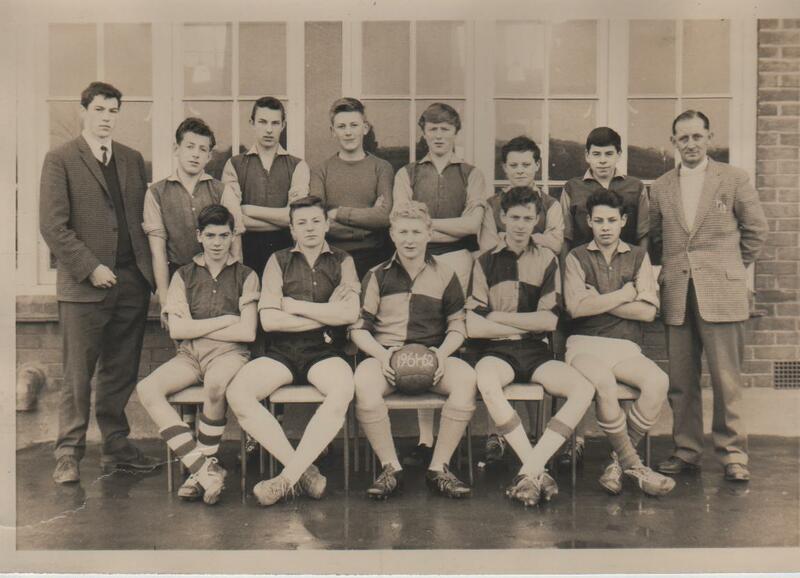 Seated centre holding the ball is Neil Clark who had the distinction of breaking PE teacher Bob Montgomery’s leg. The person standing on the right I believe to be a supply teacher Maurice Dixon. The other teacher on the left is Mr. McLoughlan who left under rather unfortunate circumstances. Certainly do remember him and his cousin whose name I can’t recall. We were in the same year throughout St. Chads. Remember him also working at Batas with Tony Parkes. my uncle is Malcolm Malthouse and he still lives in chadwell st mary with his wife Yvonne. Does anyone remember my dad Michael Malthouse. ?